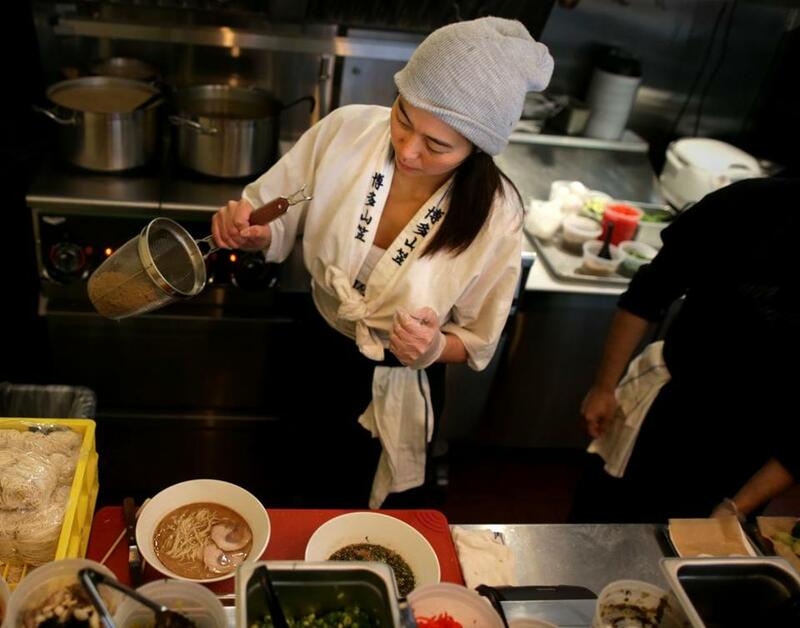 Chef Moe Kuroki prepares an order at Oisa Ramen. Where to Oisa Ramen, downtown’s tiniest new lunch spot. It is open until 2:30 p.m. on weekdays. What for Ramen and rice bowls from chef Moe Kuroki, who is from Fukuoka, Japan. In 2015, she started hosting pop-ups in order to share her favorite childhood food, tonkotsu ramen. The scene Oisa is barely bigger than a shoebox, with four seats and a standing counter that can fit about six people. “Own your slurp,” reads the message painted on the window. Behind the counter, Kuroki and another cook put together bowls of steaming noodles and call out order numbers. During the lunch rush, the room is crammed with people waiting for food. A woman in purple scrubs slurps ramen at the counter; a job candidate tries to act like this is a perfectly normal venue for an interview as he talks about his career goals. On her way out, a customer asks Kuroki if she can take a picture. The ramen chef looks up from her work and smiles. What you’re eating The menu is as small as the restaurant: smoky shoyu, truffle shoyu, and tonkotsu ramen; poke, beef, or veggie rice bowls. You can add on the likes of truffled mushrooms and soy eggs. Care for a drink? You’ll find soda, green tea, and beer, as well as help-yourself pitchers of water. 1¾ Broad St., Boston, 617-670-0126, www.oisaramen.com. Devra First can be reached at devra.first@globe.com. Follow her on Twitter @devrafirst.